It's 01:00 in Sunapee, USA right now. Lake Sunapee A nice view over the Lake Sunapee. Bristol, New Hampshire: Bristol Village, 22.5 miles away. Bridgewater, New Hampshire: Newfound Lake, 24.7 miles away. Tilton, New Hampshire: Tilton School, 25.3 miles away. 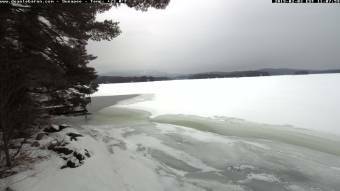 Laconia, New Hampshire: Lake Winnipesaukee Cam, 32.5 miles away. Weirs Beach, New Hampshire: Anchor Marine, 35 miles away. Gilford, New Hampshire: Gunstock Acres, Lake Winnipesaukee, 35.9 miles away. Manchester, New Hampshire: Millyard, 41.8 miles away. Milford, New Hampshire: Federal Hill, 44.1 miles away.